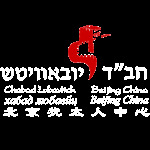 Ganeinu is the first and only Jewish Day School in northern China. Located at Grand Hills on Jing Mi Lu, Ganeinu combines the loving attention of a devoted staff to quality educational activities and a comfortable exposure to Jewish life. Ganeinu is a learning environment for the entire Jewish community, regardless of background or affiliation. Ganeinu has classes for children from ages 1.5 years old through 12 years old. Both our Montessori based Nursery and Kindergarten and Unique elementary school, have a trilingual program. For more information, please visit Ganeinu’s official website.